Building Bridges – Helping people overcome their barriers to education and employment across Swindon and Wiltshire. 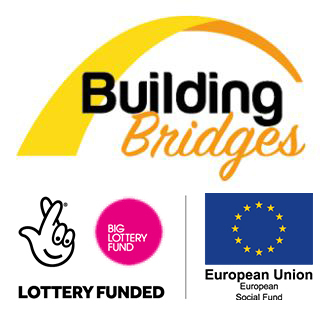 Aster is pleased to announce that we are a partner to the new Building Bridges programme, recently launched in Swindon & Wiltshire. This is a fantastic opportunity for our tenants to access the support they may need. The Building Bridges programme supports people across Swindon and Wiltshire who are facing significant challenges in being able to develop their skills, access education or move towards the world of work. Taking part in the programme is entirely voluntary and all advice and support is offered free of charge. We understand that there are many different factors which affect whether people feel ready to take the next step forward – this is why we also offer specialist help and support in a number of areas including developing physical and mental wellbeing, accessing debt and financial advice and help with issues such as transport and childcare. The programme can also help participants build their work skills and experience through help with volunteering, supported employment and personalised coaching during their journey into employment. The programme is jointly funded by the Big Lottery Fund and the European Social Fund and has received £3.9M. Is this a voluntary programme? Yes. Taking part in the Building Bridges programme is entirely voluntary. If you register you can also withdraw at any time. Is there a cost to take part? No, all of our advice and support is offered free of charge. The programme is jointly funded by the Big Lottery Fund and the European Social Fund. To take part you must be at least 15 years of age, living in Wiltshire or Swindon, and not currently be in work. You also need to have the legal right to work in the United Kingdom (this includes registered refugees). We cannot work with asylum seekers, people who are currently in prison or people on zero hours contracts. I have a disability, what help is available for me? Our partners have experience working with people who have additional needs and your disability will always be taken into account. Will taking part in the programme affect my benefit payments? Unless your circumstances change (e.g. you start working) your benefits payments shouldn't be affected by taking part in the programme. Should I tell my Work Coach that I am taking part in the programme? Yes, if you are accepted into the programme you should let your Work Coach know. Your Key Worker will give you a letter to share with your Work Coach to confirm you are taking part. No you will not be paid, however we can offer support towards the cost of transport as well as advice and support with childcare costs. Information about you will never be shared outside of the programme without your permission. Your information will be kept in a secure database and only members of our team will have access to it. We will not tell anyone else that you are taking part, but we can work with other people who are giving you support, if you give us permission to.